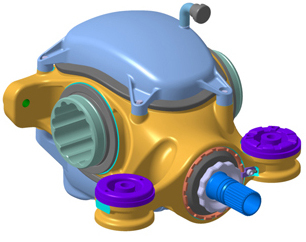 Controlled Power Technologies, a developer of vehicle driveline electrification based on state-of-the-art switched-reluctance machines (SRMs), has partnered with Ricardo, Tata Motors European Technical Centre (TMETC) and Provector, to apply its low voltage electric motor technology to the rear driveline of a B-segment city car. The consortium has secured a funding award from Innovate UK, the UK’s innovation agency, who will be contributing £1.8 million of the total £3.4 million investment. The investment will help to further introduce advanced mild hybrid functionality to mainstream vehicles at significantly reduced cost to that of high voltage plug-in hybrid or pure electric vehicles (EVs). The innovative electrified rear axle technology will be an important step in enabling OEMs to further improve both regulated and real world fuel economy in modern urban city driving conditions. The objective of the two-year project is to achieve a CO2 reduction of up to 15 percent, over the regulatory cycle, through the development of two through-the-road hybrid demonstrator vehicles. 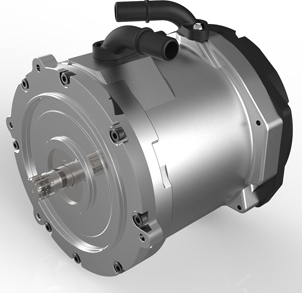 Integrating the electric motor within the rear axle will enable features such as low speed electric driving or e-creep, as well as electrically assisted all-wheel drive, which will deliver additional significant savings over a typical representative city drive cycle. The technology will allow a carmaker to reduce the in-use carbon dioxide emissions of such vehicles by approximately 25g/km. CPT will lead the project and will be responsible for developing the electric motor and control system, and will support their integration into the rear axle module. Provector has extensive experience in the control and management of advanced lead-carbon battery chemistry through projects such as ADEPT and its involvement with the Advanced Lead Acid Battery Consortium. Ricardo's key responsibilities within the project will be the design and analysis of the integrated 48V rear axle module, development of the supervisory vehicle control system, sub-system testing and project management support, building on its previous work on the ADEPT and ULTRAN projects. TMETC will supply the base vehicles, develop the suspension solution, and provide support for the application of the technology and overall vehicle integration and testing. The FEVER project will run for two years and will culminate in the development of two through-the-road, 48V electrified rear axle demonstration vehicles.